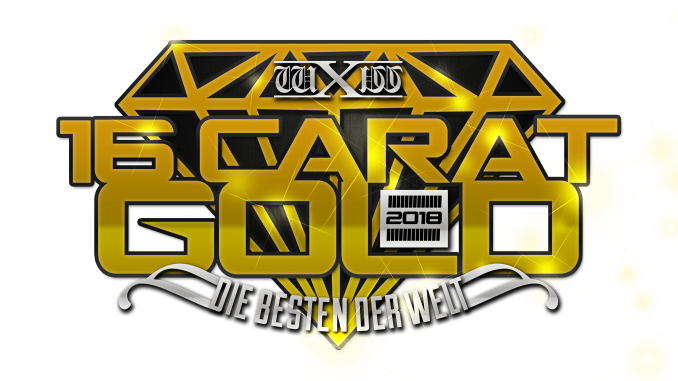 Benno is live in Germany for the annual wXw 16 Carat Gold Tournament and has a live report from the second night and setting the stage for the third and final night on Sunday. After a Shotgun TV taping that saw Session Moth Martina beat Veda Scott, we began things at Night Two proper with a multi-team tag match as the RISE team of Da Mack & Ivan Kiev defeated Francis Kaspin & Jay Skillet, Mark Haskins & Matt Sydal and Avalanche & Julian Nero to become the number one contenders to the Tag Team Titles. 16 Carat Tournament action began with Keith Lee defeating Chris Brookes in a strong match where the long-limbed Brookes tried to wrap Lee in submissions and engage him with strikes but got repeatedly overpowered by the larger man Lee, before succumbing to one the bigger Spirit Bomb’s you’ll ever see. Next, Tim Thatcher defeated Lucky Kid, in a battle of the RISE and Ring Kampf factions in an excellent match that split the Turbinenhalle crowd right down the middle, with the story of the match being the no-nonsense Thatcher attempting to teach Kid a wrestling lesson, with the painted up Kid attempted to use mind games and his high impact offense to stay in it. Thatcher would eventually get the better of Kid with a Butterfly Suplex for a pinfall victory. David Star then defeated Travis Banks in another strong back and forth Quarter Final match via Han Stanson Lariat, with wXw debutante Banks getting loud “Please come back” chants after the match. Progress Wrestling Champion Banks then took the microphone and announced that Progress would be coming to Germany in association with wXw for dates in Hamburg, Oberhausen, and Frankfurt from August 31st to September 2nd, 2018. In the final Quarter Final match of the evening, Absolute Andy defeated Matt Riddle. The match began with a tease of another quick Riddle win via immediate Running Knee, however, Absolute Andy’s foot was below the second rope during the referees count. The match restarted with the veteran Andy getting the surprising win, pushing the referee to crotch Riddle on the top rope, before hitting an F5 off the second. After intermission, Alexander James defeated Jonah Rock in a non-tournament match, the finish of which being similar to Rock’s match with Tim Thatcher the night before, with Rock again missing a high-risk move off the top, this time a Moonsault, then being caught with a La Magistral style roll-up. In the first title match of the evening, Bobby Gunns defeated Speedball Mike Bailey to retain the Shotgun Title, after a strong match, where Gunns’ finger snapping and arm work outdid Bailey’s high impact strikes, for a popular win via Armbar. The Semi-Main Event saw Toni Storm defeat Melanie Grey to retain her wXw Women’s Title Toni Storm (c) in a fantastic hard hitting back and forth match, fought around the Strong Zero Piledriver with Storm attempting to hit her version multiple times and failing, with Grey coming close with a version of her own, before Storm finally hitting the move for the win. The Main Event, billed as the biggest match in wXw history, was advertised as a singles match between WALTER and John Klinger, with WALTER having won the right previously to name the stipulation of the match. WALTER would use this stipulation to make the match a three-way dance, adding last years 16 Carat winner Ilja Dragunov to the match – a man who earned Walter’s respect in last years final and who had been gone from the promotion since losing to Klinger at the promotions anniversary show in January. Draganov would defeat WALTER and Klinger to become the new wXw Unified World Wrestling Champion in a superheated, hard-hitting match of the year contender with some of the louder reactions you’ll hear in wrestling. There were layers and layers of story here, with highlights of the match being the incredibly hard hitting back and forth strikes between WALTER and Dragunov that lit up Dragunov’s chest reminiscent of last year’s tournament final, with Dragunov’s victory coming via his Flying Uppercut Torpedo Moscow finish after a Burning Hammer to Klinger. From WALTER’s entrance to Dragnuov’s entrance and eventual victory, this match elicited a reaction unlike any other I’ve seen in wrestling, with members of the audience shedding tears, strangers hugging and people dancing out into the streets of Oberhausen. This was a long-term story that wXw’s fans have been rewarded for being so invested in, and a thoroughly memorable night of wrestling that will be difficult to top in 2018 both in Europe and anywhere else in the world. The weekend will conclude tonight with Night Three, featuring the Semi-Finals of the 16 Carat Tournament with final four Timothy Thatcher, Keith Lee, Absolute Andy and David Starr.